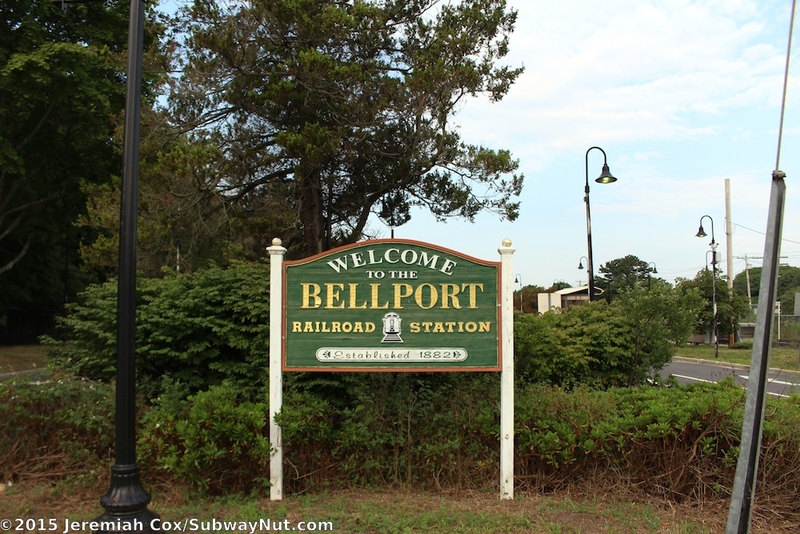 Bellport is an LIRR Station the MTA attempted to close due to low-ridership on March 16, 1998 but failed, instead the bare minimum of a one and half-car long, modern high-level platform was built letting train service continue with the introduction of the high-level platform only multi-level C3s. 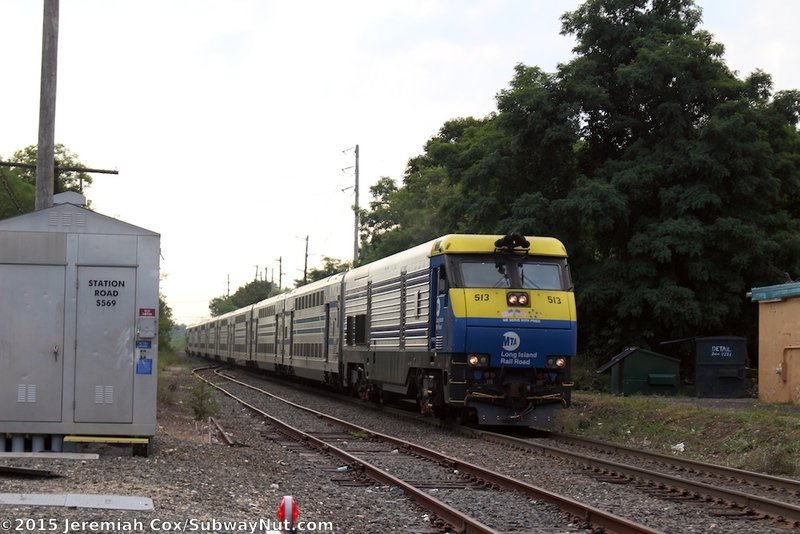 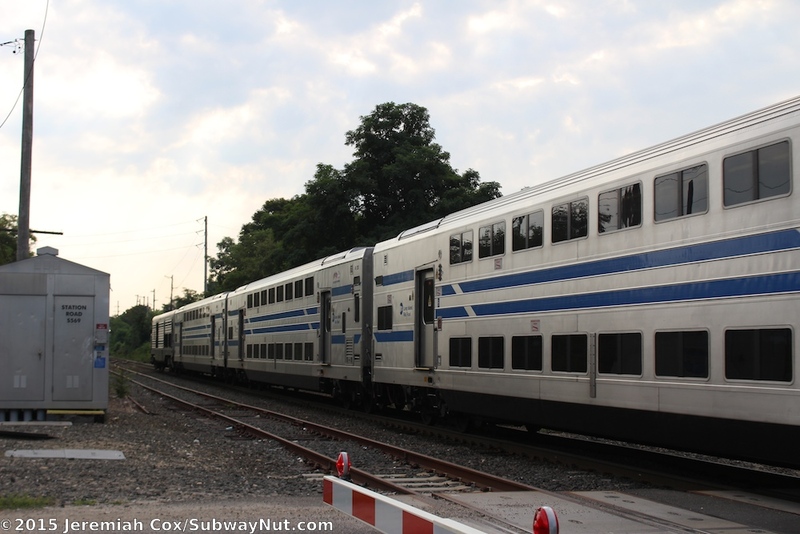 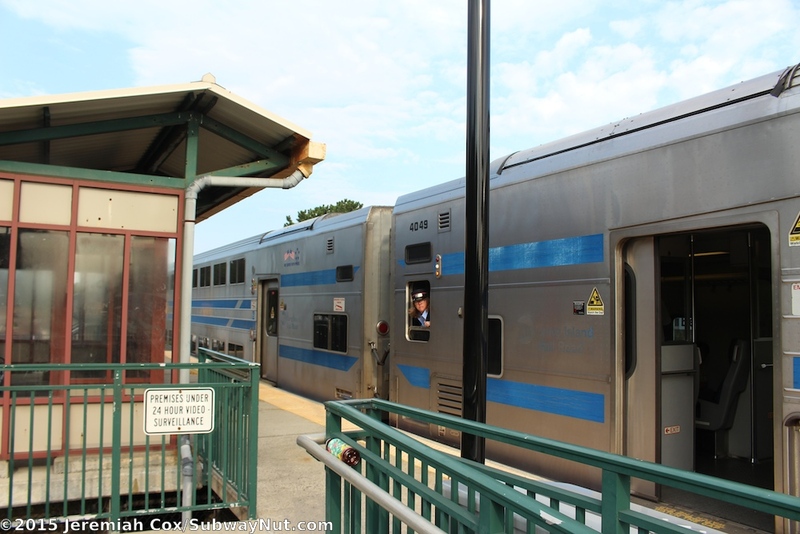 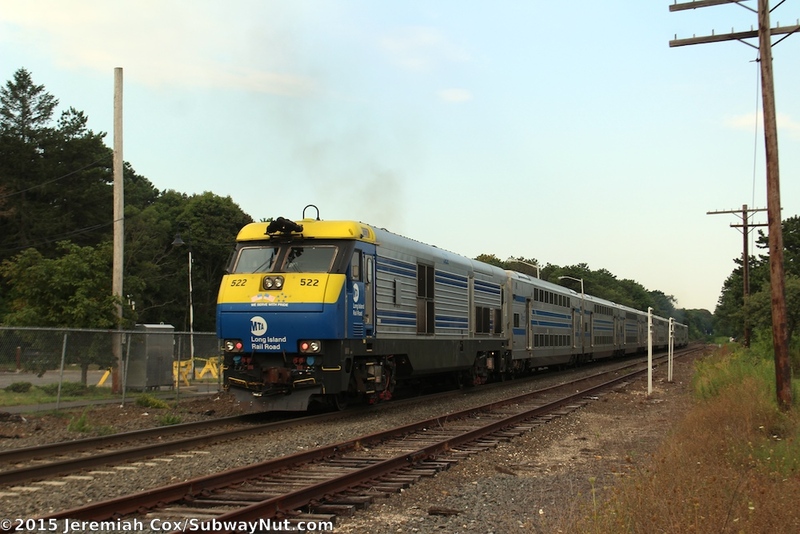 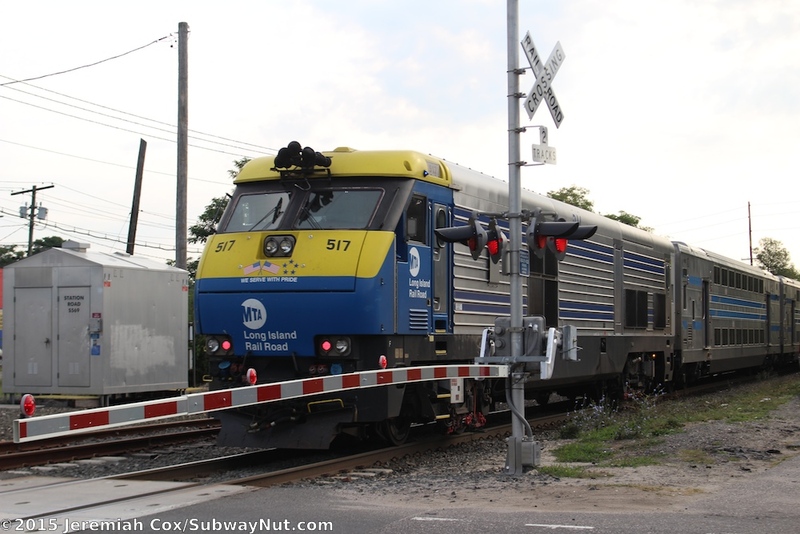 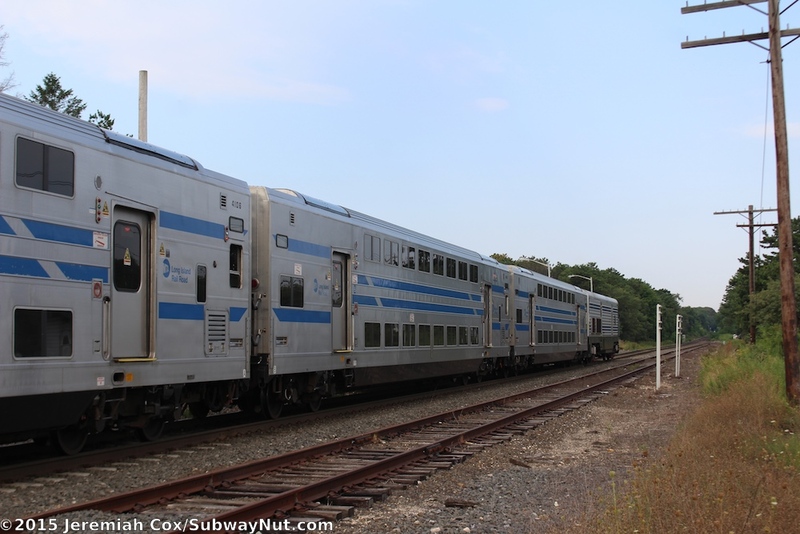 Today the doors to only one car are opened (generally the first) and the station is the only one left on the entire Montauk Branch to lack a TVM, allowing passengers to pay on board without penalty. 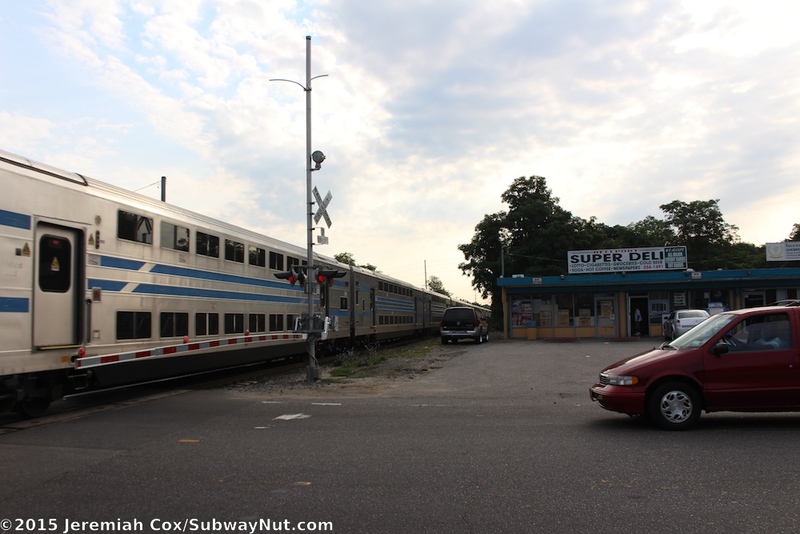 Service to the station is also inconsistent with many trains skipping the stop. 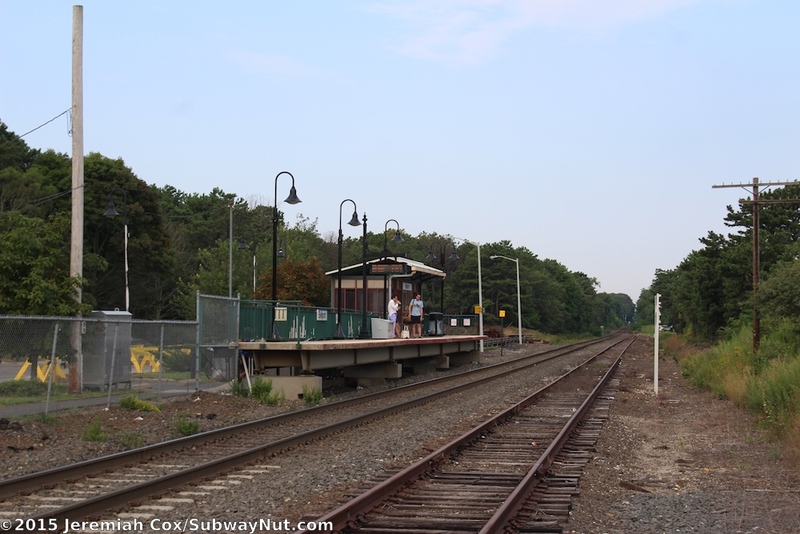 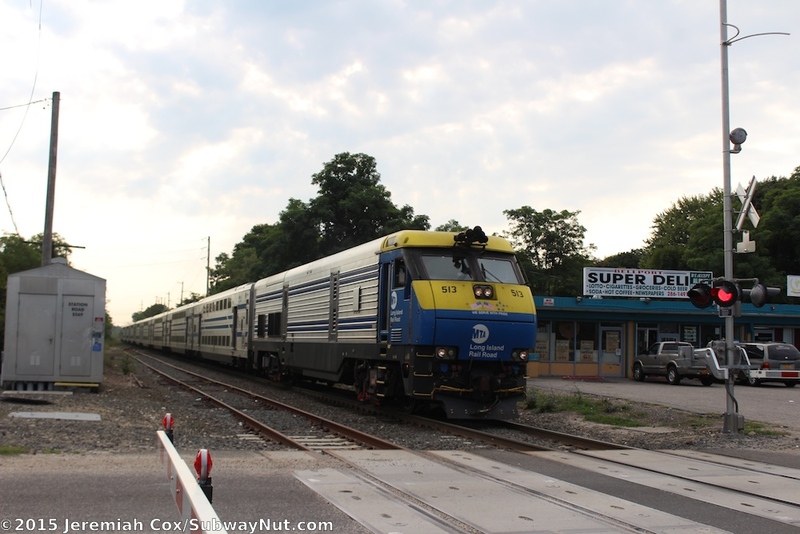 The station consists of a modern one and a half-car side platform on the southern side of the main track just east of Station Road with Montauk Highway in clear view and across from the station. 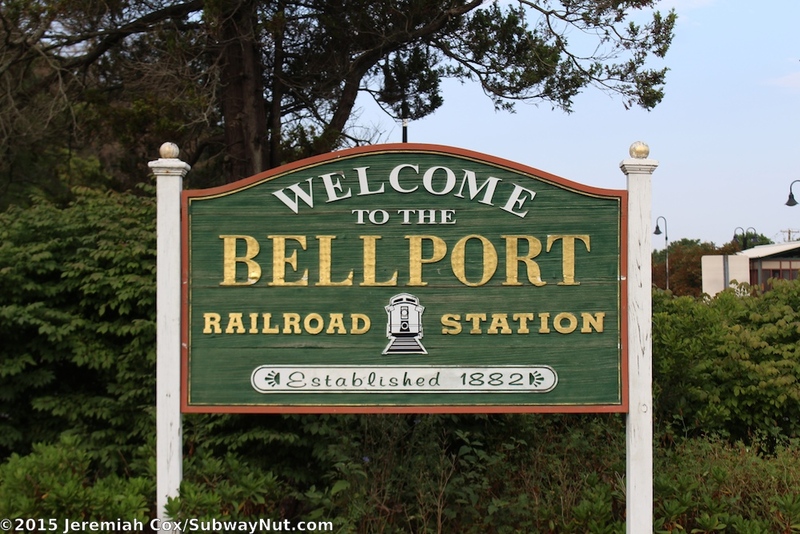 There is a second track in the station that is the Bellport Siding, looks underused and lacks a platform. 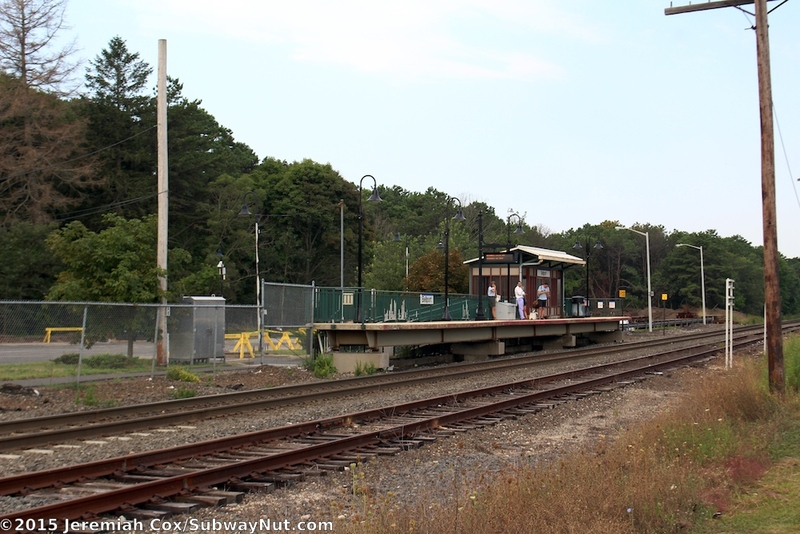 This platform has green fencing, and a single modern waiting shelter with maroon and cream windscreens and a roof that extends slightly over the platform. 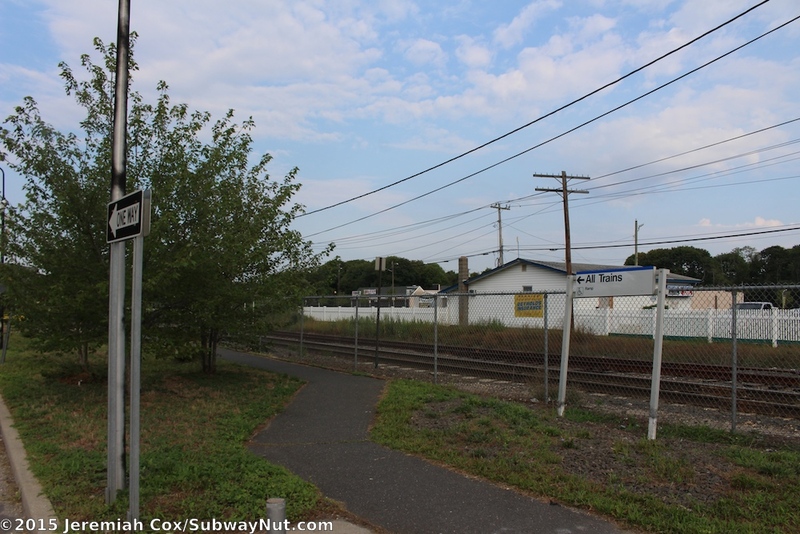 Inside is the only bench for waiting passengers and when I visited it stank and was filled with trash. 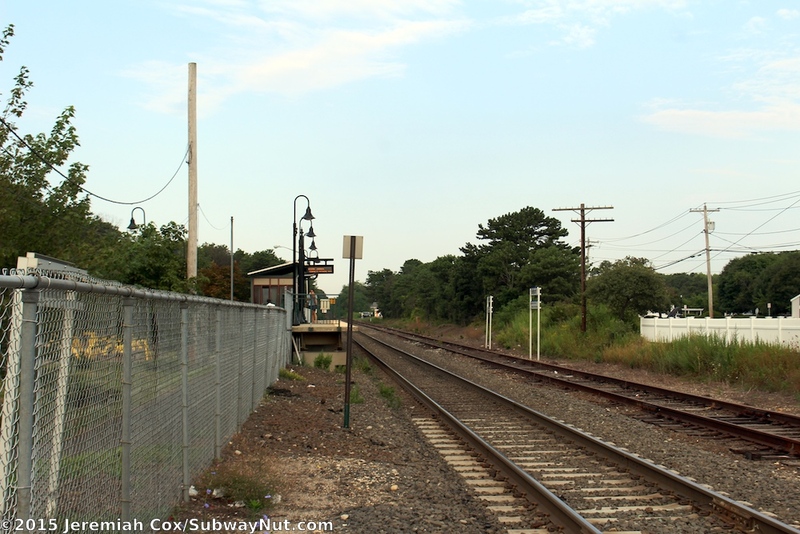 The low-level platform was clearly much longer, east beyond the modern platform are two cobra style light poles that illuminate a vacant area used for open storage. 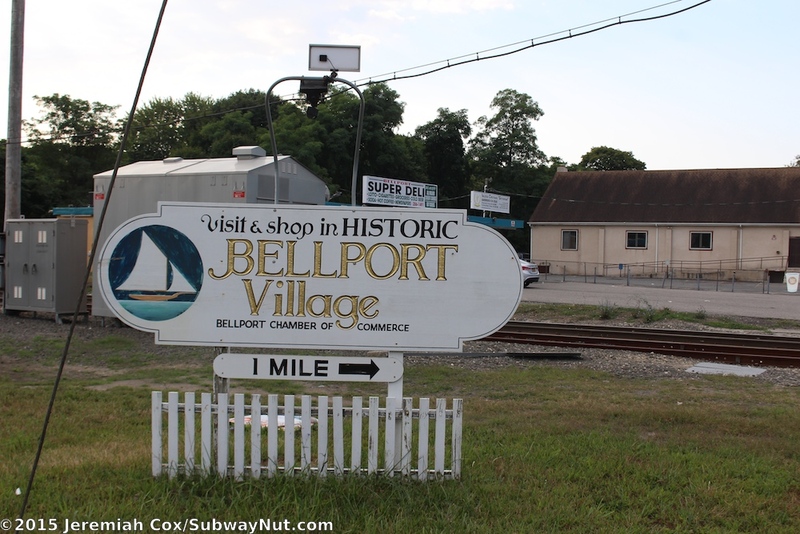 One pole has an old black format Bellport Sign. 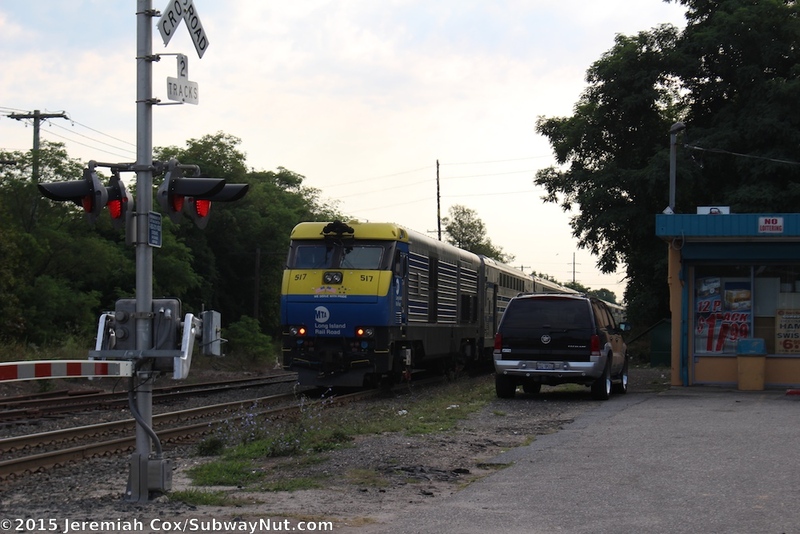 To leave the platform a staircase at the western end and ramp towards the eastern end lead down to a small 32 space parking lot. 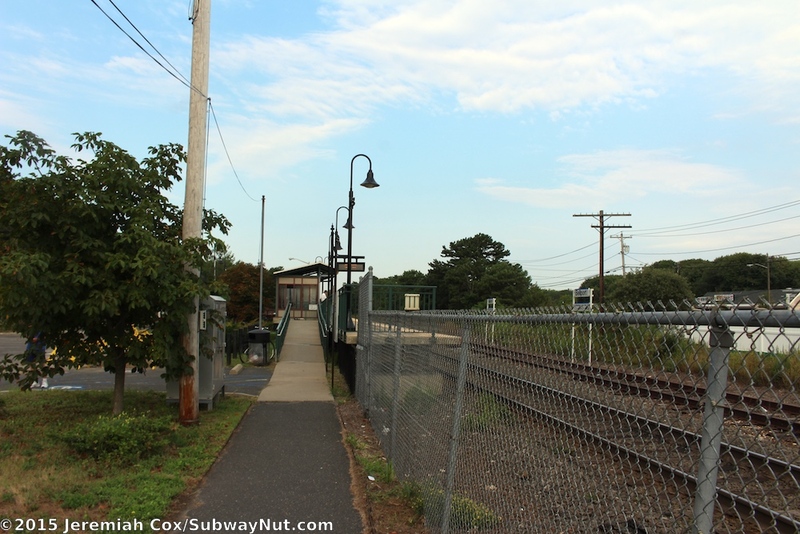 The ramp also connects to a path along the tracks to Station Road. 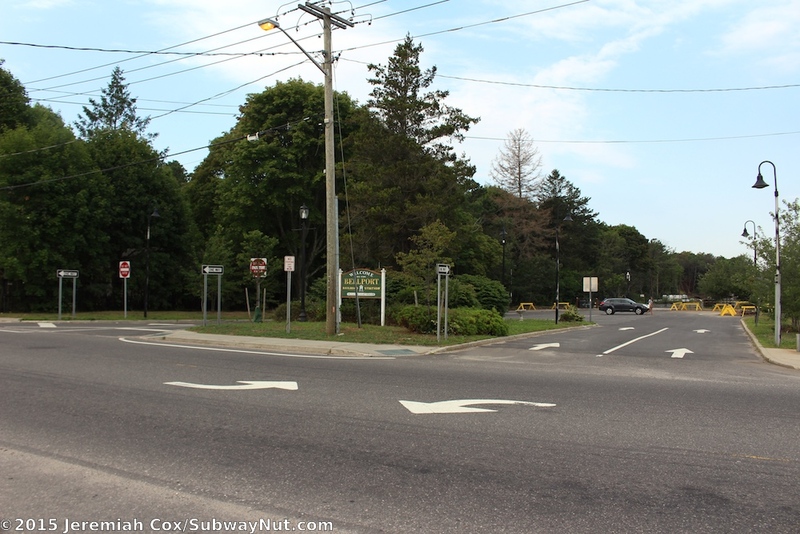 This small parking lot has two wide entrance driveways (with one-way signs) out to station Road. 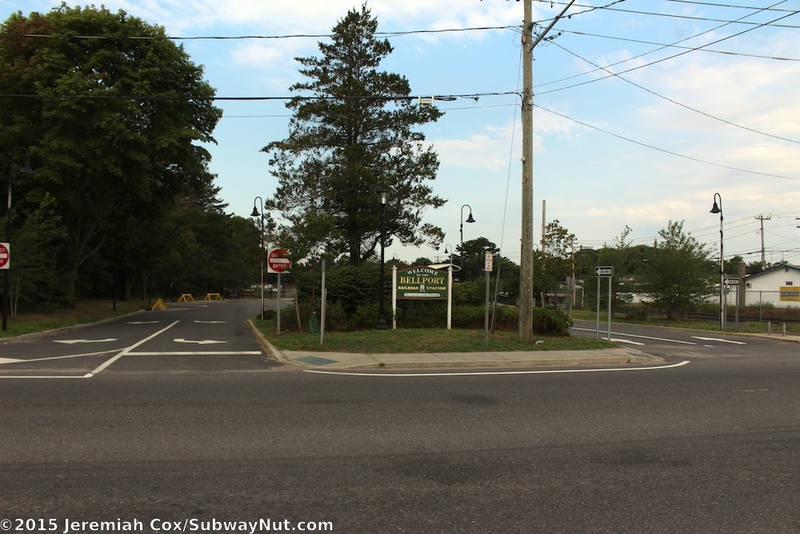 On an island between these driveways is a green with gold text wooden sign that says "Welcome to the Bellport Railroad Station, Established 1882." 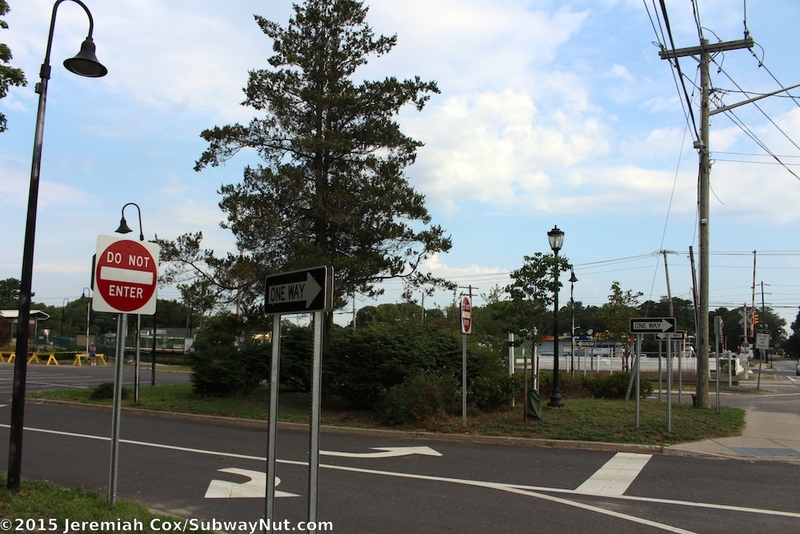 The stop is in the neighborhood of North Bellport, the village center is 1 mile to the south has a sign across from the station for motorists along Montauk Highway.